Dieser Beitrag wurde unter Allgemein, Atlantic City veröffentlicht. Setze ein Lesezeichen auf den Permalink. 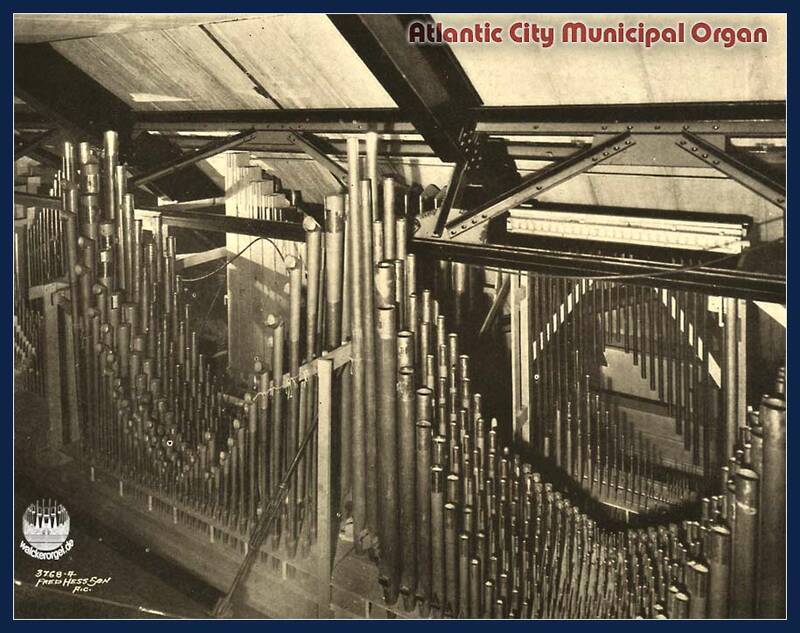 To read about the Atlantic City organ is always interesting! 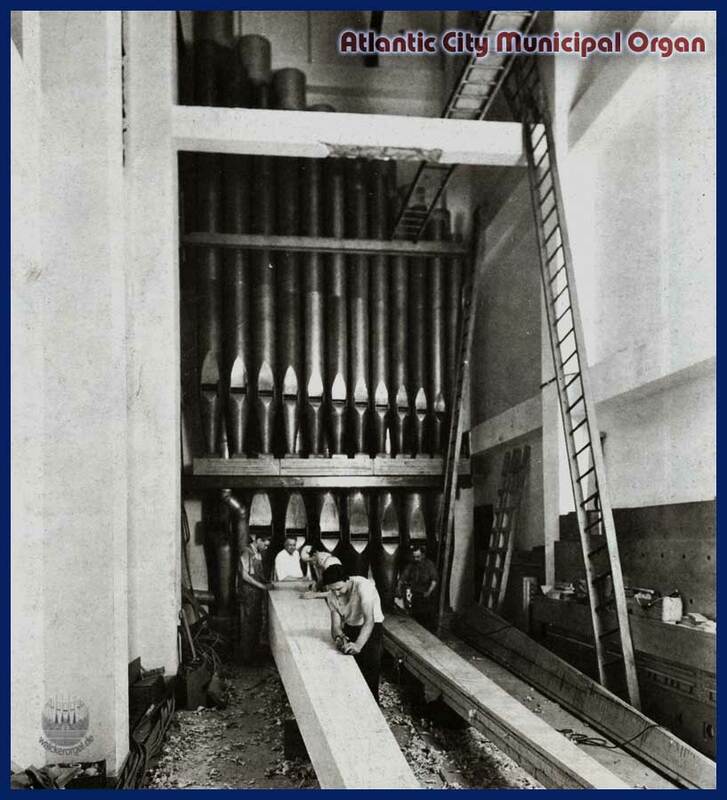 I am under the impression that the brochure on which you have based your article is not complete, or it was published during the construction of the organ, after which numerous additions were made to the organ. 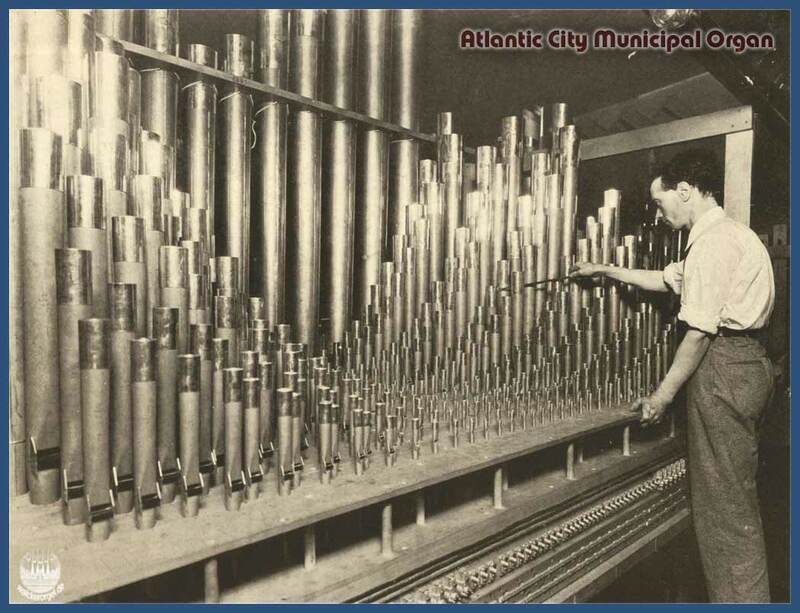 Recent thorough studies have indicated that the organ has 449 ranks, 314 speaking stops and about 33,114 pipes (this number is indicative, see the website of the Atlantic City Convention Hall Organ Society). 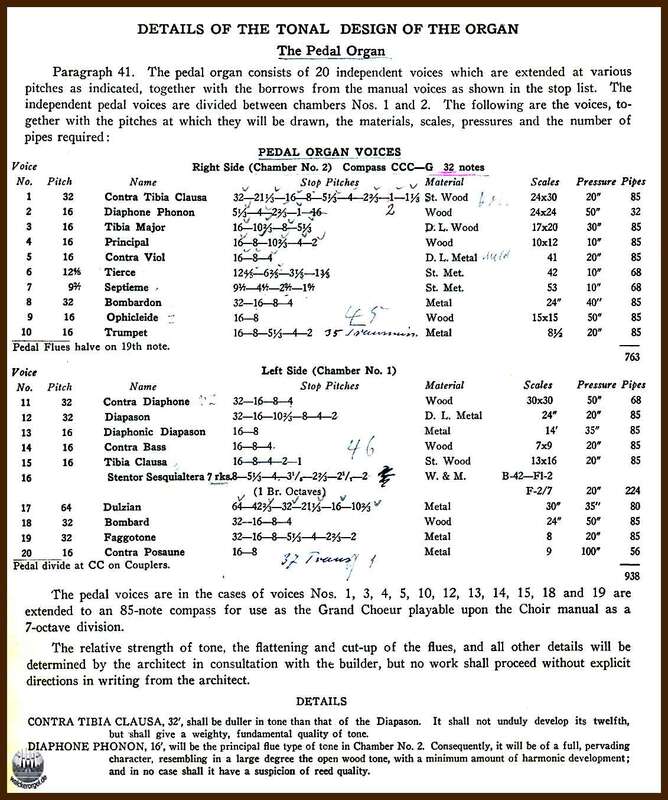 Any way, it is most certain that there are more than 33,000 pipes present in the instrument. 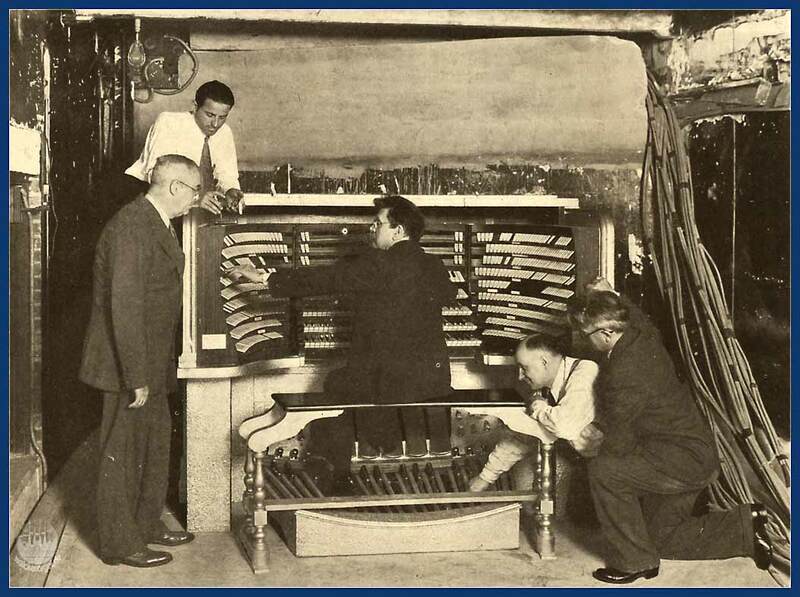 There are numerous interesting photographs of the organ on this site too. The pipes are actually housed in 8 organ chambers (and not 16) in the building. 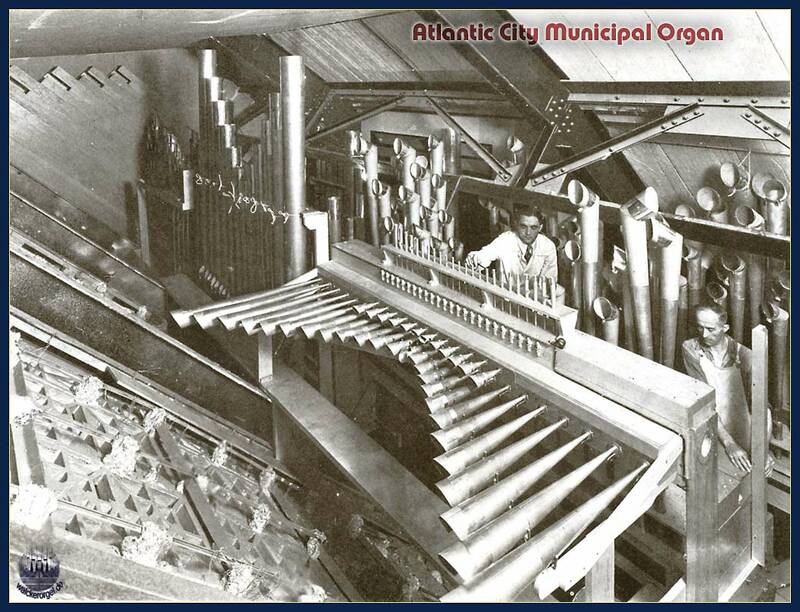 It is needless to say that all of the organ did work for some years after its finishing. 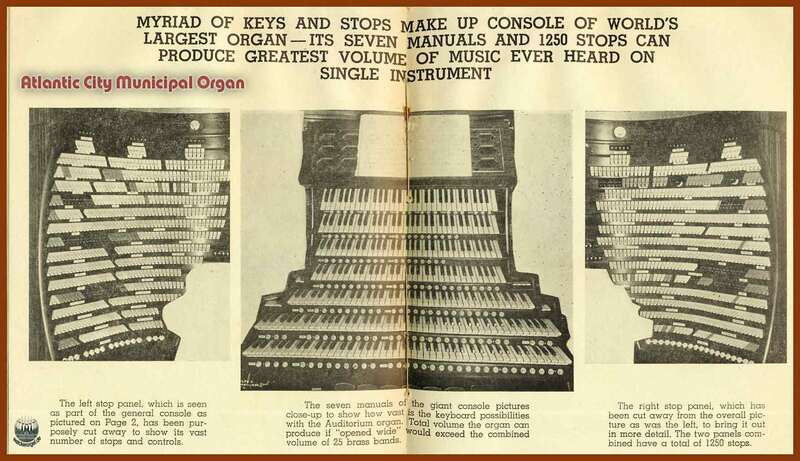 The fact that the organ never completely worked is a fable. 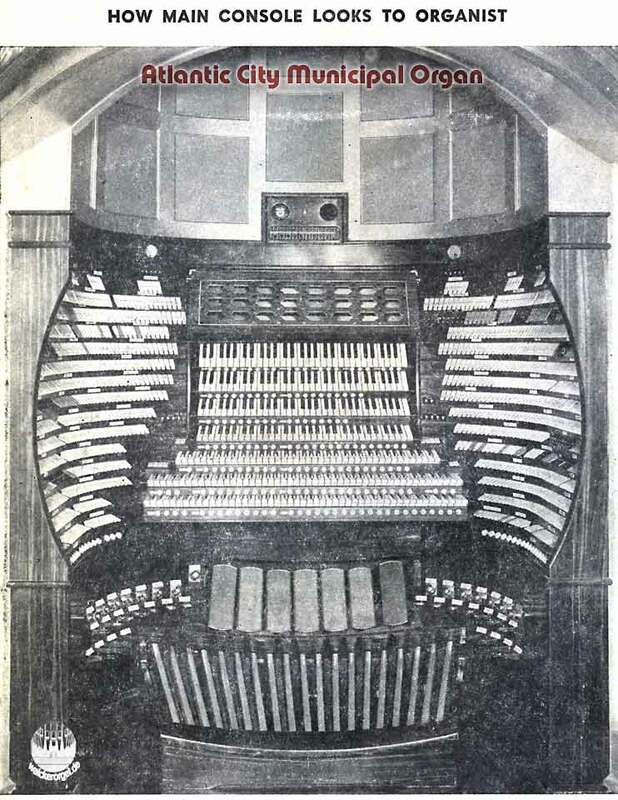 Senator Emerson Richards (the designer of the organ) had very high demands regarding the workmanship, voicing and finishing of the organ. He would never have agreed to sign the final approval of the organ if it was not functioning completely. 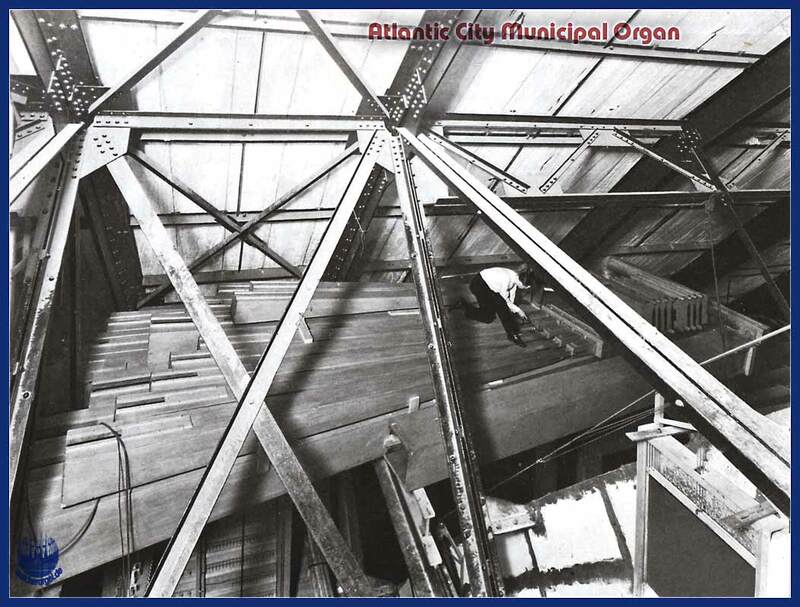 The problems started when the combination action (housed in the basement of the building) was flooded in the 1940’s. It was destroyed and never replaced. In later years leaking roofs caused major damage to the chests and pipework housed in both roof chambers. This, and the lack of proper maintenance of the instrument resulted in many sections of the organ not working (also due to the presence of asbestos in the roof chambers, these chambers were off limits for several years, until the asbestos was removed during the recent restoration of the building). The ACCHOS is very active, and some money is available to bring parts of the instrument back in working order. But a complete restoration will take many years and will cost lots of money! I hope this information is of interest to you. I am a great admirer of your work an writings. I am in no way affiliated with the ACCHOS, I simply admire the work they are doing and hope that the Midmer-Losh organ will be completely restored in the near future. 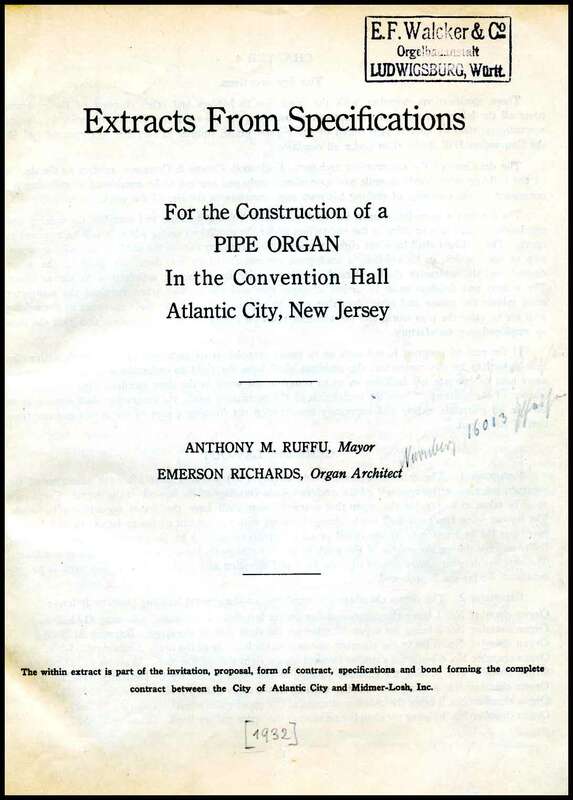 Lieber Herr Walcker-Mayer, eine Korrektur zu Ihren Übersetzungen zur Klangcharakteristik der Pedalregister in Atlantic City: Immer, wenn von „double languid pipes“ die Rede ist, sind nicht doppelte Labien gemeint, sondern Doppelkerne nach dem Patent von Vincent „Harry“ Willis (Foto siehe z. B. S. 60 im Buch von Stephen D. Smith). Zwischen dem oberen und dem unteren Kern ist an der Rückseite der Pfeife eine Öffnung zum Pfeifenkörper hin. Der Luftstrom aus der Kernspalte saugt durch sie Luft aus dem Pfeifenkörper an. Dadurch bleibt der Klang obertonreich, auch wenn die Aufschnitte wegen der ungewöhnlich hohen Winddrücke sehr hoch sind (siehe auch die Erklärung bei Smith, S. 58ff.). Die Konstruktion zielt also auf Brillanz bei extrem hohen Winddrücken, nicht auf vergrößerte Klangleistung durch ein zusätzliches Labium. … und noch etwas — Ihre Bildunterschrift zum letzten Bild (offenen 32′ im Montagesaal) ist zwar korrekt, aber nur insofern, als der »Montagesaal« in diesem Fall die Orgelkammer selbst ist. 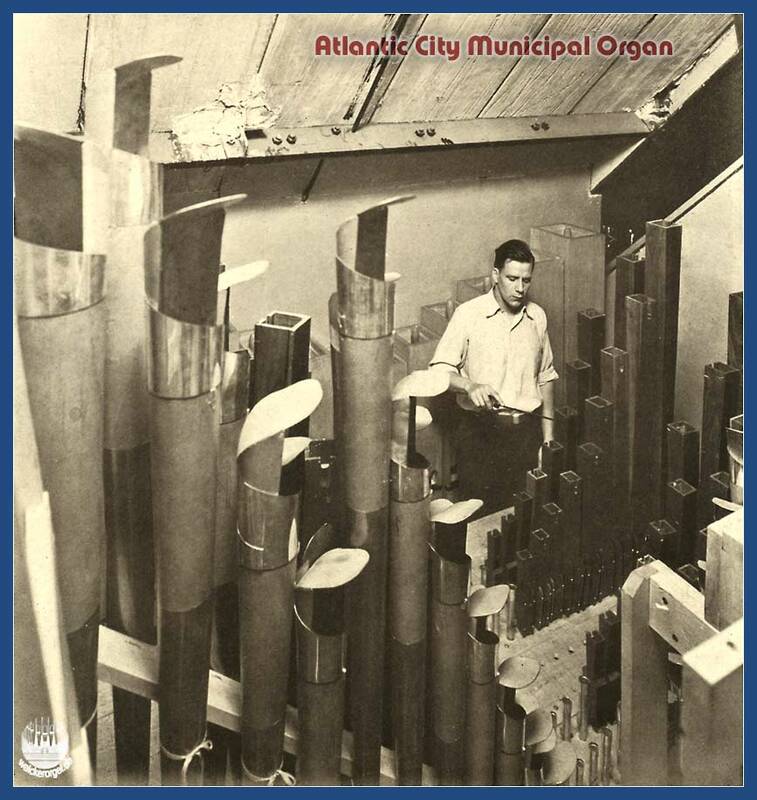 Ich schließe mich dem freundlichen Herrn von der ACCHOS an und empfehle Ihnen mit Nachdruck die beiden Bücher „Atlantic CIty’s Musical Masterpiece“ und „The Atlantic City Convention Hall Organ“ von Stephen D. Smith. Smith trägt alles an Informationen zusammen, was es über die Orgel zu wissen gibt, auch die Kommentare zum (beabsichtigten) Klangcharakter der Reihen und zahlreiche hervorragende Fotos vom Bau der Orgel; und er verteidigt die Orgel ausdrücklich als künstlerisch konzipiertes Musikinstrument, um ein wenig gegen der Ruf der sinnlosen Rekordjagd entgegenzuwirken. Sehr sympathisch.